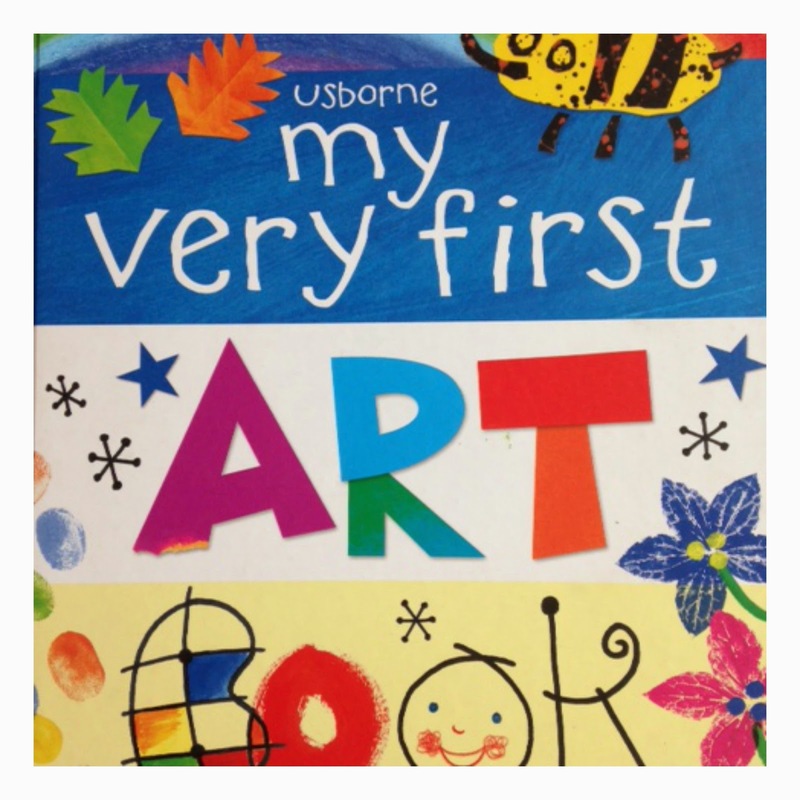 I got this book "My Very First Art Book" a couple of years ago for Luella. I really liked the content and was hoping for some fun "Me and Her artsy time together". She was too young to enjoy it and be interested about it for more then 5 minutes. We kept it on the book shelf. She's now 5 years old and it's currently a favourite. 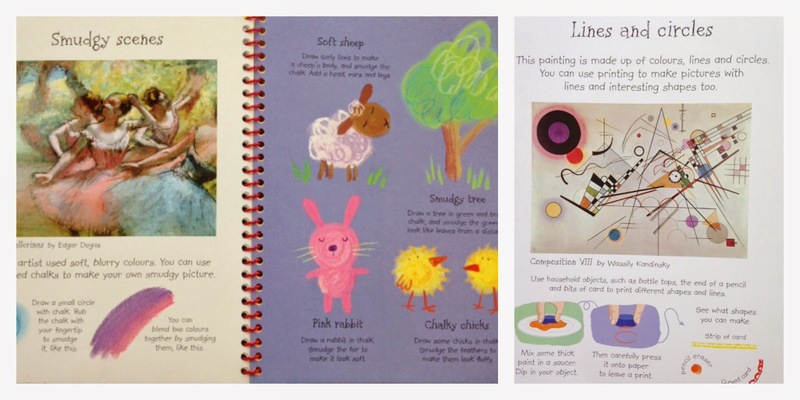 It's a fantastic book filled with real work from great artists (Rembrandt, Marc Chagall, Matisse,..) and lots of ideas and technique to help children create artwork of their own. They get to see different techniques like drawing (doodling, smudging, ...) , printing, painting ( cool, warm colors, spatter&splashes,..) and experimenting with different brushes and mediums (cutting, sticking, ripping paper, 3D,...). 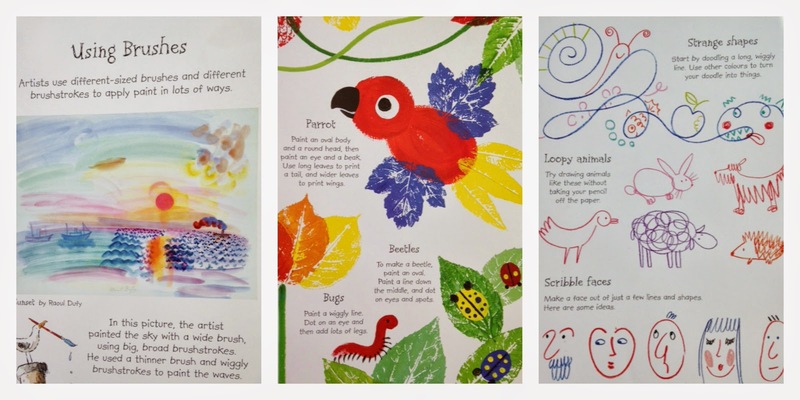 It has a nice easy format, two pages spread with an artist's work featured on the left with 3 lines description (style and technique) and on the right page provide some ideas and projects for children to do using the artist's technique. It's currently providing hours of creative fun for Luella. It would be a lovely present as well, just had a couple of art supplies and you get a cool birthday gift.